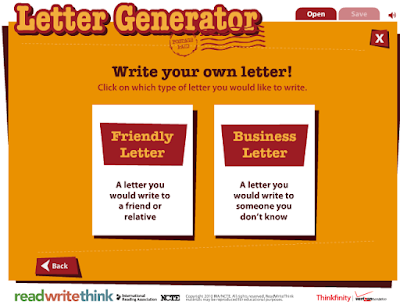 letter Generator is an excellent tool from ReadWriteThink that helps students learn about letter writing. Whether it is a business or friendly letter, students will get to explore the different parts making up a letter and work towards creating their own letters. 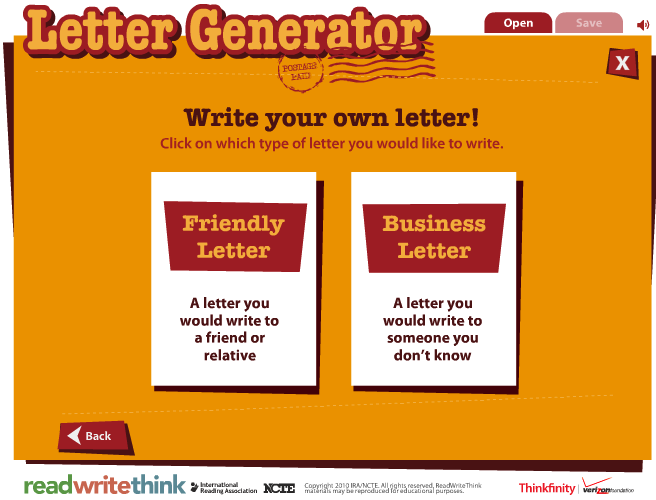 Letter Generator provides pre-made templates students can use to write their letters. All they need to do is simply filling in their own information. The process to use Letter Generator is simple and easy. The first step is to choose the type of letter you want to write: friendly letter or business letter. Next, follow the instructions and prompts to fill the sections of the letter (e.g headline, addressee, Closing, signature, postscript etc). Once done, you can save your final work or print and share it.